Overall spending on medicines in 2015-16 was £16.8bn (€19.7bn; $20.9bn), up from £15.5bn in 2014-15. Spending by hospitals on medicines rose most rapidly, by 13.6%, and accounted for 45.2% (£7.6bn) of the total cost spent on medicines in 2015-16, up from 43.0% (£6.7bn) in 2014-15. Since 2010-11 the NHS’s spending on medicines has increased by 29.1% overall and by 81.8% in hospitals. Of the drugs recommended by the National Institute for Health and Care Excellence (NICE), the most money in 2015-16 was spent on the TNF alpha inhibitor adalimumab (£416 647.80), which received a positive appraisal for ankylosing spondylitis and non-radiographic axial spondyloarthritis in February 2016. 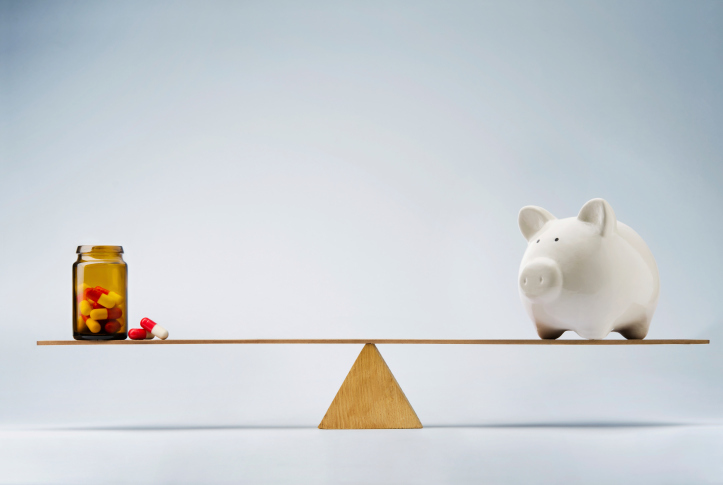 The drug that attracted the third highest spending (£230 588.30) was another TNF alpha inhibitor, etanercept, which also received a positive appraisal from NICE for the same indication in February 2016. The second highest spending was on ranibizumab, which received a positive appraisal from NICE in November 2013 for choroidal neovascularisation associated with pathological myopia. Of the £16.8bn total spent on medicines in England in 2015-16, £9.0bn was spent on medicines prescribed in primary care (53.9%) and £150m on hospital prescribed medicines dispensed in the community (0.9%). The cost of medicines prescribed in primary care has risen by only 4.6% in the past five years, from £8.6bn in 2010-11 to £9.0bn in 2015-16. As a proportion of the overall NHS expenditure on medicines, spending on those prescribed in primary care has fallen by 12.6 percentage points over the same five year time period (from 66.5% to 53.9%). The data were based on prescribing in hospitals and the community throughout England, and the costs in the report are the net ingredient cost (NIC), which is the price listed in the national drug tariff (the basic price excluding VAT). Data on hospitals’ use of medicines were provided by IMS Health, which collects data on issues from pharmacies in most hospitals in England. The data on medicine use in the other two sectors—primary care and hospital prescribed medicines dispensed in the community—were provided by NHS Prescription Services. NHS Digital. Prescribing costs in hospitals and the community: England 2015-16. 22 Nov 2016. www.content.digital.nhs.uk/catalogue/PUB22302/hosp-pres-eng-201516-report.pdf.